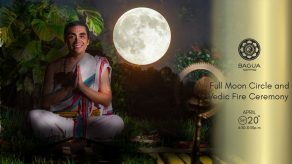 Join Master Drummer Fernando Subirats on a journey of the Soul as he guides you into a deep state of meditation through Shamanic drum journeys. Participants relax in seated (or reclined) meditation as Fernando plays hypnotic rhythms on the Frame Drum that literally open the heart and mind to Divine information. Three to four rounds of meditation (journeys) are taken which last 10-15 minutes each. Group sharing and journaling will be encouraged after each round. These verbal and written communications act as practical “souvenirs” of the experience that reinforce the insights gained. Participants leave the workshop feeling a profound sense of peace, clarity, and insight into their current struggles (and how to resolve them). The purpose of this gathering is to build community, to wake up to our dreams both in waking and sleeping states, and to clear the path towards a life centered around our unique gifts and destinies. 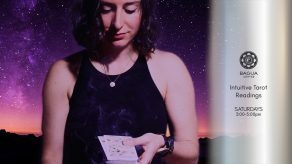 This is workshop is perfect for those who love drumming, meditation/soul travel, and having a forum for gaining insights into their own lives. Fernando Subirats, dream journey guide, has been drumming for most of his life. In 1997 he traveled to India to study the art of Tabla drumming with several great masters. During such time he also developed a meditation and yoga practice. Having experienced many occurrences of hyper-synchronicity and lucid dreaming, Fernando began to understand just how powerful and wondrous life becomes when we follow our hearts. 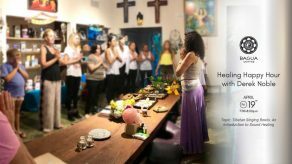 Based on the teachings of Robert Moss, and with influences from Deepak Chopra, Sri Sri Ravi Shankar, Paolo Cohelo, Louise Hay, and local spiritual teachers Deborah Mills, Chet Alexander, Elijah Nisenboim, Fernando holds a space of love and acceptance for those who come in search of themselves.